Andrew J. Fabiano — Operation Backbone for Soldiers who seek private medical care choices. 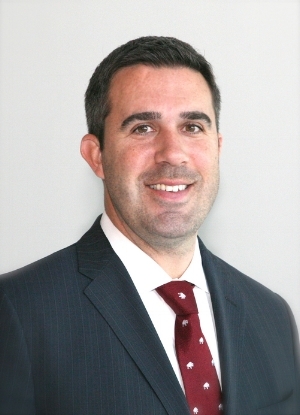 Andrew J. Fabiano, MD, FAANS is an Associate Professor of Oncology at Roswell Park Comprehensive Cancer Center (RPCI) and a Clinical Associate Professor of Neurosurgery at SUNY at Buffalo. His practice is based at RPCI and focuses on the treatment of tumors of the brain and spine. He is Board Certified by the American Board of Neurological Surgery. Dr. Fabiano is the Director of the Spinal Oncology Center at RPCI and has special expertise in spinal tumor removal and complex spinal reconstruction. He utilizes intraoperative neuroimaging and spinal neuronavigation to enhance patient safety and surgical outcomes. He has lectured extensively on the management of spinal metastatic disease and was selected for the North American Spine Society’s Robotics & Navigation Committee. A major component of Dr. Fabiano’s practice is the treatment of benign and malignant brain tumors. He has a special interest in minimally invasive techniques for the treatment of brain tumors including Gamma Knife Radiosurgery, Intracranial Endoscopy, Endoscopic Skull Base Surgery, and Laser Interstitial Thermal Therapy. He has served as invited faculty for the Congress of Neurological Surgeons on the management of brain metastases in eloquent cortex. Dr. Fabiano’s areas of research interest include novel therapies for cerebral edema and radiation necrosis and innovations in spinal surgery. He has published over 90 journal articles and abstracts and is on the Editorial Board for BMC Cancer. Additionally, Dr. Fabiano is a member of RPCI’s Surgical Services Executive Committee and Medical Staff Executive Committee. He is the RPCI site director for the SUNY at Buffalo Neurosurgery Residency Program and a course supervisor for the SUNY at Buffalo School of Medicine. Dr. Fabiano is a native of Buffalo, NY. He graduated from the University of Illinois at Chicago in five semesters with Highest Departmental Distinction and from SUNY at Buffalo School of Medicine and Biomedical Sciences with Thesis Honors. He completed a neurosurgical training program with the SUNY at Buffalo Department of Neurosurgery. During his training he was awarded an Alpha Omega Alpha Research Fellowship and a Thomas F. Frawley Research Award. He is a member of the American Association of Neurological Surgeons, Congress of Neurological Surgeons, Society of Neuro-Oncology, and the North American Spine Society.